reading | I'm not stalking you. I will be at Leon & Lulu in Clawson, Michigan THIS SUNDAY, April 30th from 11:00AM-5:00PM with copies of Troll Gurl and the Cursed Kingdom and the Riley Sisters series. Please stop on out and say hi. This event will feature MY FIRST EVER BOOK READING!!! It will be from 2:15PM-2:30PM. If you follow my posts at all, you know that I am secretly terrified about this. I haven’t practiced at all yet. Should I read from printed 8 1/2″ X 11″ pages or an actual copy of my book so that people can stare at the cover and want to buy it? (That cover is really awesome. See below.) Which parts should I censor in mixed company? How far will I get in 15 minutes? What if that is the whole book? Really, the only reason I can make myself do it is the same reason that someday I would like to record the audiobook for it myself: because it is so fun to do the witch’s voice. Also, a reminder that this weekend is your LAST CHANCE to enter to win TWO ROCK STAR PASSES to the Great Lakes Books Bash, October 27 & 28th! The two passes cover admission to the signing & panels Friday as well as early admission to the signing on Saturday and panels on Saturday. All you have to do is sign up for my author newsletter to be in the running. Drawing will take place 4/30/17. The winner will be notified by email. Click here to sign up. Posted in A day in the life, Unusual Poetry & Writing and tagged author, book, Clawson, event, in-person, Jennifer Friess, Leon and Lulu, live, Michigan, reading, Troll Gurl and the Cursed Kindgom, writing. Bookmark the permalink. Did you know that if you live in the United States and have a young child, your child may be able to receive a brand spankin’ new book every month until they turn 5? Absolutely FREE! Just go to ImaginationLibrary.com to see if your community participates in the Imagination Library. And whose brain-child was this wonderful project? Why none other than the buxom bombshell herself, Dolly Parton. I first heard about the Imagination Library while watching the wonderful (now defunct) webcast, CNN.com Live. Reggie Aqui interviewed Dolly Parton (and dueted to “Islands in the Stream”). Dolly talked about this program she created to get age-appropriate books into the hands of pre-school children. She has always loved children, even though she has none of her own. But through this program, all kids are sort of her kids. The first time I heard about Imagination Library, I looked at the website and I don’t think our county participated. The second time I heard about it, I told my sister-in-law so she could sign up my niece (my poor nephew was already too old). And then I completely forgot about it. Just before I had my son, my sister-in-law told me about the program and suggested I sign up. My son has been getting a book a month since shortly after he was born. Some are better than others. 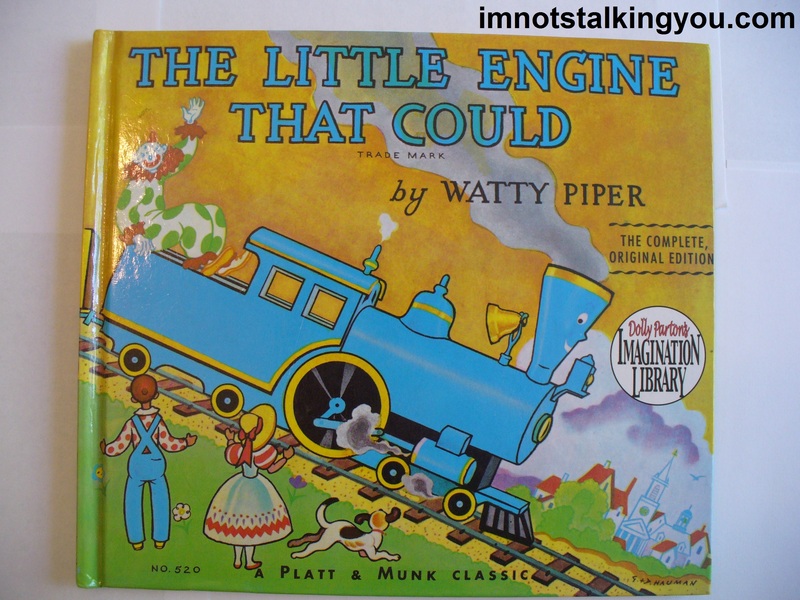 Everyone starts with The Little Engine That Could. This comes in handy because one of the few things my son says is “toot-toot”. 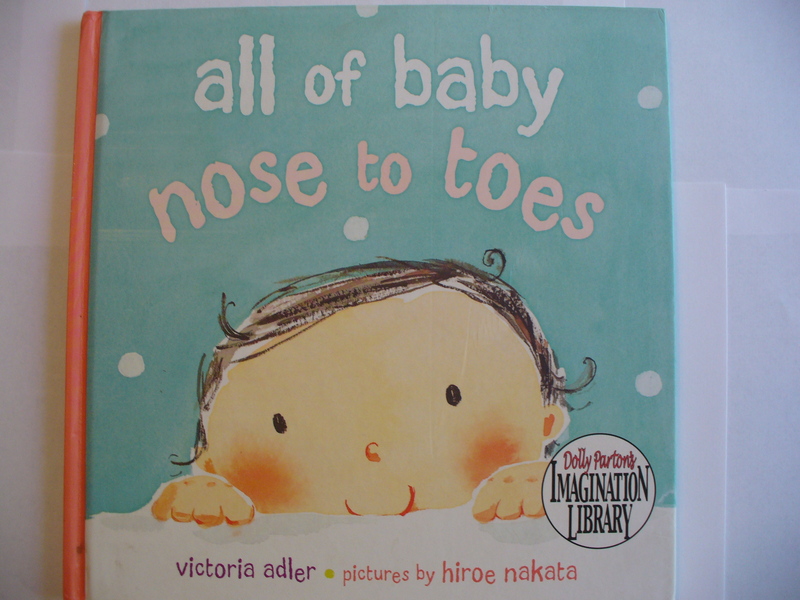 He also really likes one called All of Baby Nose to Toes. We point at the parts of the body as we read it. I think he might be catching on. He likes ABC Look at Me, because it shows other babies facial expressions. 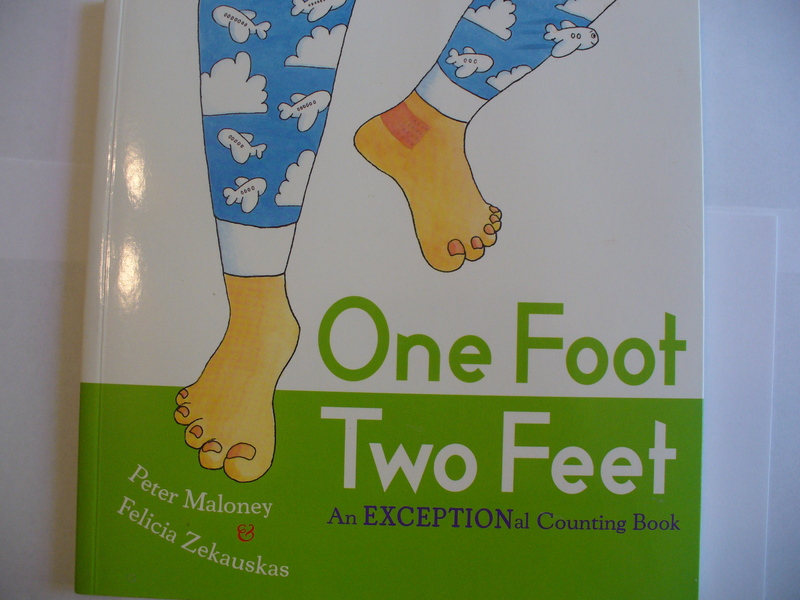 He also likes One Foot Two Feet An Exceptional Counting Book, because the pages have a square cut out, like little windows. He thinks that is neat. The program is sponsored in part by the Dollywood Foundation, in partnership with local sponsors who cover the cost of books and postage. This all seems like some sort of fabulous secret. I mean, there are never any public service announcements promoting it. Dolly mentions it in interviews, but I don’t think I have ever seen it mentioned on her Facebook page. I have been to my local WIC office . They don’t have any signs or brochures about the program. But it isn’t really being kept quiet, either. Last winter, our local mall had a community day, which included some organizations for kids and literacy. There was a booth of people asking everyone if they knew about the “Imagination Library” and signing them up if they had not. 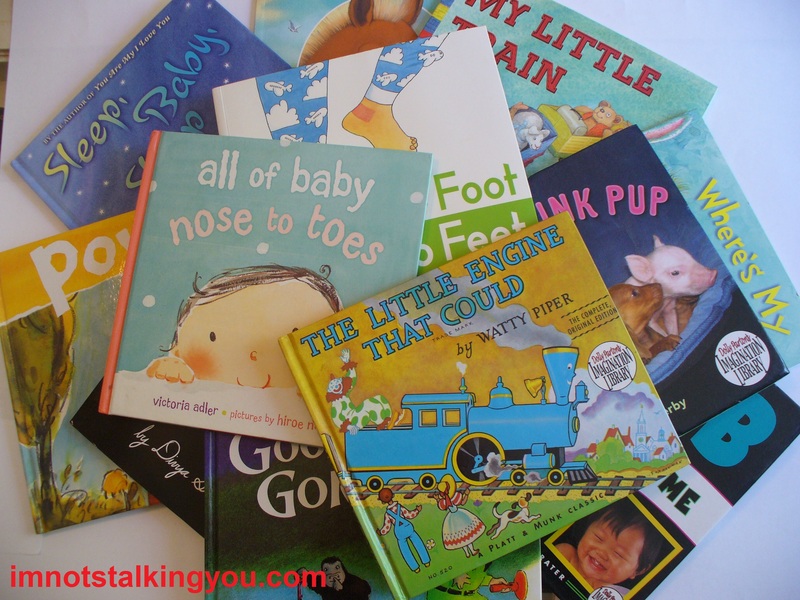 Posted in A day in the life, Entertainment Worship & Review and tagged age appropriate, All of Baby Nose to Toes, books, children, Dolly Parton, Dollywood, Foundation, free, Imagination Library, literacy, Little Engine That Could, pre-school, reading, Reggie Aqui. Bookmark the permalink.